Happy Pancake Tuesday! Todays is all about crepes, pancakes, griddlecakes and even waffles. Plus, your favourite toppings and fillings. In my case, I can’t imagine having a pancake without a good cup of joe. If you are like me, a coffee-pancake combo is a must. To help you pamper your coffee buds, here are 6 cafes serving killer pancakes and coffee this Pancake Tuesday. Nestled in Coke Lane, Urbanity Coffee is one bright spot on the Dublin coffee scene. 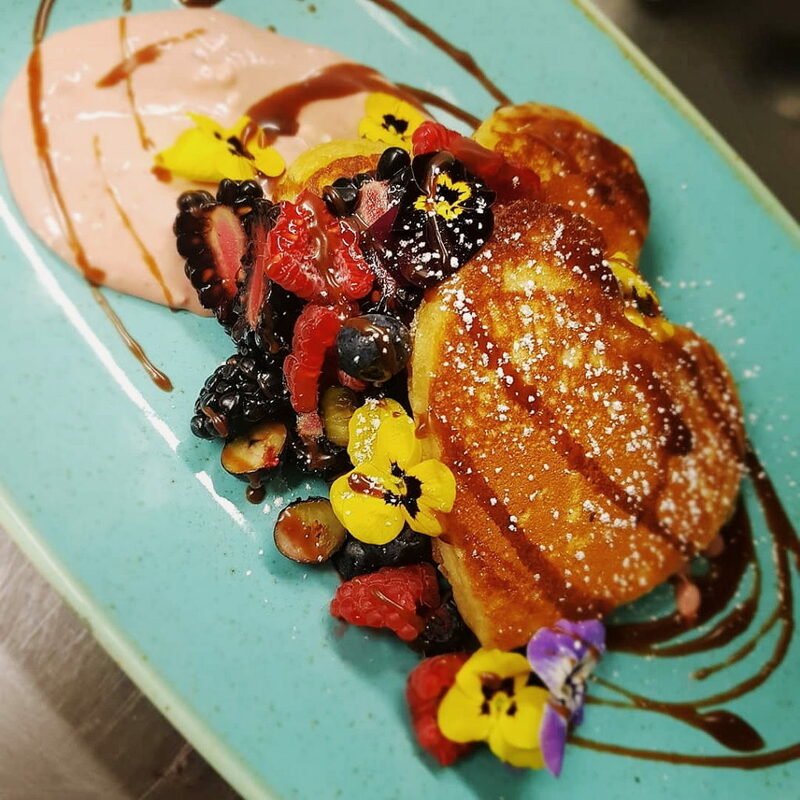 To keep our sugar cravings in check this Pancake Day, the guys are serving these heart-shaped Sweet Pancakes with Raspberry Mascarpone, Fresh Berries & Chocolate Butterscotch. You simply must sink in your teeth in them. Network Cafe is located just a few steps away from Grafton Street. The guys are serving big dirty American style pancakes, as their chef Tadgh put it. Pair it with their Workshop Coffee for your ultimate combo. Two Pups Coffee is well-known for their uber delicious food and tasty coffee. 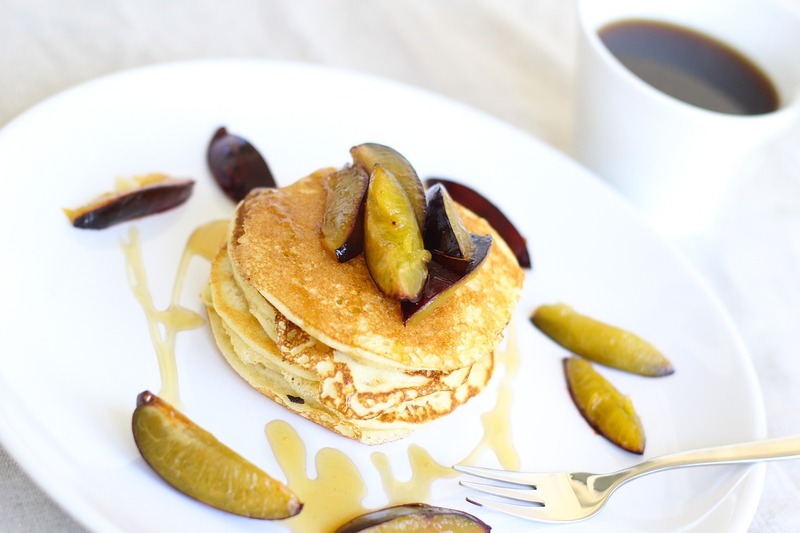 To spoil us this Pancake Tuesday, the guys are serving Rhubarb Poached and Puree, Vanilla and Honey Mascarpone Pancakes. I think a filter coffee might go well with that, adding a light fruity zing to this heap of deliciousness. In the heart of Dublin LIberties lives Legit Coffee Co. This petit cafe is a real food and coffee powerhouse, often showcasing coffee brands from around the world. Today, the team is adding a sweet pancake addition to their menu to pamper your taste buds. These bad boys look amazing! Granthams Cafe is one of the latest additions to Dublin’s coffee scene. A younger sibling to its Aungier Street cafe, this food hub is perfect for bigger groups due to its size. Stop by for their sweet and savoury pancakes, freshly prepared in their in-house kitchen. They are available until 3pm today. If you are around Grand Canal Dock, you should drop by 3FE for their delicious pancakes. The team is serving them until 3.30pm so make sure to grab one in-house with a pot of filter for a quiet lunch.